Local retailers are slowly adapting to the growth of e-commerce. It must be many retailers’ dream to have long queues of people waiting behind their shops’ doors at the crack of dawn every day to spend as much money as they have on their bank account. Unfortunately, for many retailers, this dream will never come true. They will be quite happy to have an occasional Black Friday experience three or four times a year. The retail industry is changing dramatically as a result of e-commerce. The fortunes of retailers no longer depend on just the stages of the economic cycle. Even when the economy is booming many are turning their backs on shopping malls and department stores preferring to shop online from the likes of Amazon and eBay. Even the brick and mortar chains are struggling as high street rents are often compounding the problems of running physical retail outlets. In the US and the UK major retailers like GAP and M&S are announcing store closures to improve their bottom lines. Of course, empty retail space is soon filled up with new retailers who believe that they can defy the trend of declining sales in physical stores. This trend will sooner or later affect more countries in Europe. This is bad news for low-paid shop assistants and managers who risk losing their jobs with little prospects of finding alternative employment in the declining physical retail sector. The growing income inequality can only get worse. Local retailers are slowly adapting to the growth of e-commerce as they have upgraded their online shopping facilities. 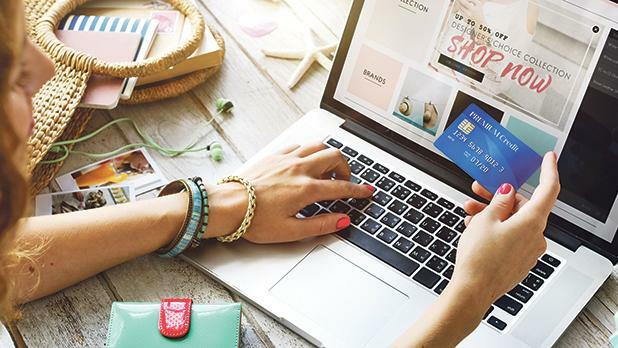 Buying online from Maltese retailers has become easier in the past several months. Delivery is slowly becoming more reliable and online inquiries answered more promptly. However, some retailers have still not discovered that their business can flourish if only they invest more in having attractive and user-friendly websites where as much information as necessary is displayed online. Some websites are boring, and one cannot blame potential customers from switching to international e-commerce websites to buy anything from kitchen cupboards to shoes and clothing. The psychological buzz one gets from physically browsing in a bookshop, or a clothing store can soon be dimmed by the prospects of having to spend a long time caught up in traffic jams or milling round streets to find a parking space. Buying a TV set from the UK while relaxing in one’s living room late in the evening is for many a better experience than trying to get to an electronics store a few miles away from home. Food stores are arguably the least vulnerable to the onslaught of e-commerce. Food needs to be fresh and physically examined before one decides to purchase it. Returning, fresh produce to an e-commerce food store is cumbersome, and many prefer to put up with the inconvenience of driving to the nearest food store to get the best vegetables, meat or fish available on the market. However, in this area, the impact of e-commerce is growing. Chains like Tesco and Sainsbury are catering to online sales of food for those who are too busy to find time to go to their nearest food store. Vegetables, meat and even fish are being packed in standard containers to guarantee consistency in quality. So for many, except for the most conservative buyers, buying food online is no longer a taboo practice. I certainly miss the unique experience of milling round traditional open street markets. Hygiene may not be the best-selling point of market vendors, but the human experience of haggling and browsing around the often disorganised stalls is difficult to beat. Open street markets are as old as humanity itself, and they may never be completely defeated by e-commerce. For the majority of retailers who dream about having a Black Friday every week, the best way to realise at least a part of their dream is to adapt by investing more in understanding and catering for the shopping needs of millennials and other generations of shoppers. The landscape of high streets with the expensive rents they charge to retailers is changing. Souvenir shops, fast food outlets, and hairdressers cater to the needs of the passing trade. Buying shoes, laptop computers, books and even milk and bread is increasingly becoming more convenient for the younger generations than driving on our gridlocked roads at most times of the day. The retail industry is changing the way we spend our time. Except for times like Christmas, for many, shopping in physical stores is too passé.